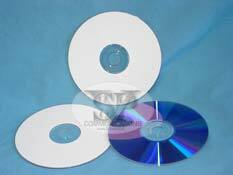 Bulkpaq 4x speed blank DVD-R's. £7.00 per tub of 25. 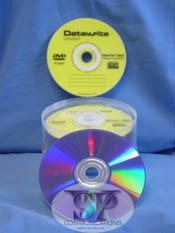 Datawrite Yellow DVD-R with a purple laser surface in a tub of 25. 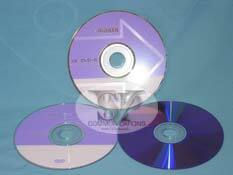 Please ensure your DVD Writer is compatible with this type of disc? Bulkpaq Orange DVD-R in a tub of 25. 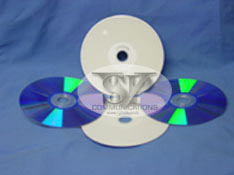 Bulkpaq Orange inkjet printable DVD-R in tubs of 25. 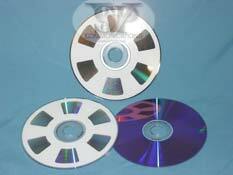 These Ritek Ridisc DVD-R in tubs of 25. 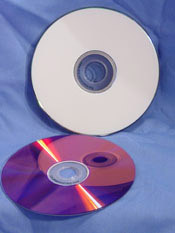 Verbatim DVD-R in a jewel case. 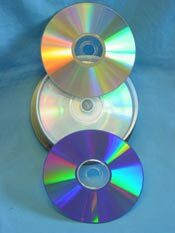 A high quality DVD-R disc. Datawrite Re Writable 80 minute CDRW's in a tub. 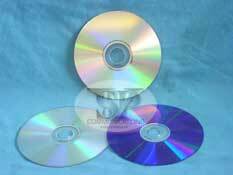 Please ensure your CD Writer is compatible with this type of disc? 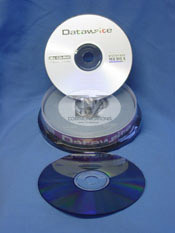 Traxdata Re Writable 80 minute CDRW's in a slim styled jewel case. This superb flight case will allow you to store 120 in the included strong plastic sleeves. These top quality CD marker pens come in four colours in each pack.